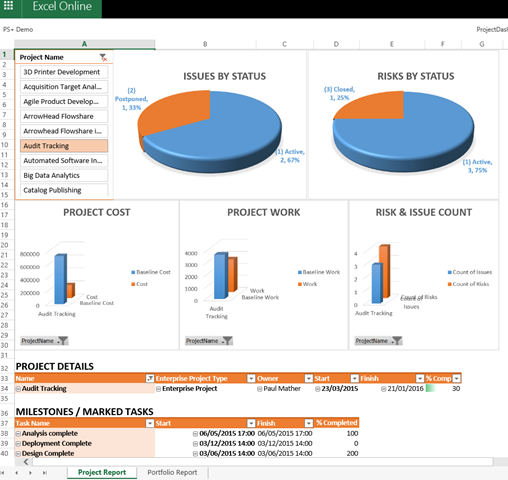 It’s been a few weeks now since the Project Virtual Conference, for those of you that missed it, sign up here: http://projectvirtualconference.com/ and you can view the recordings. 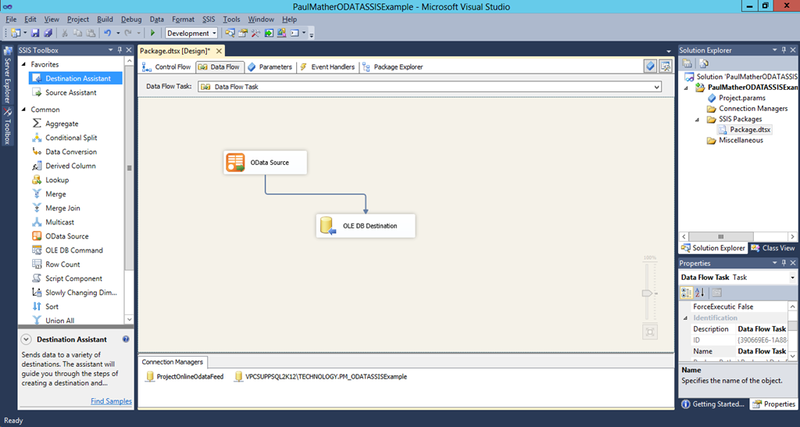 The third technology demonstrated was SSIS / SSRS. 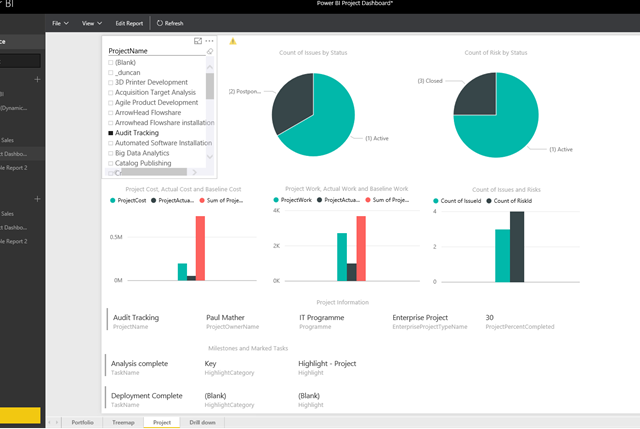 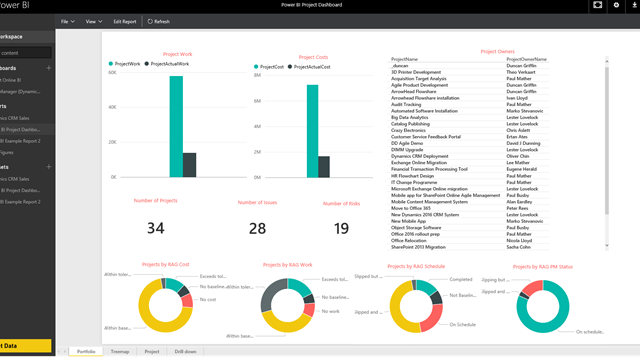 The reporting technology was SSRS (SQL Server Reporting Services) but without SSIS (SQL Server Integration Services) an SSRS report would not be possible with Project Online data. 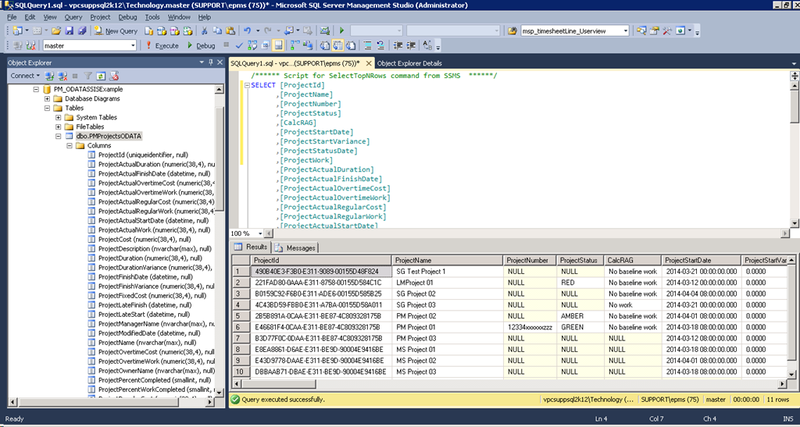 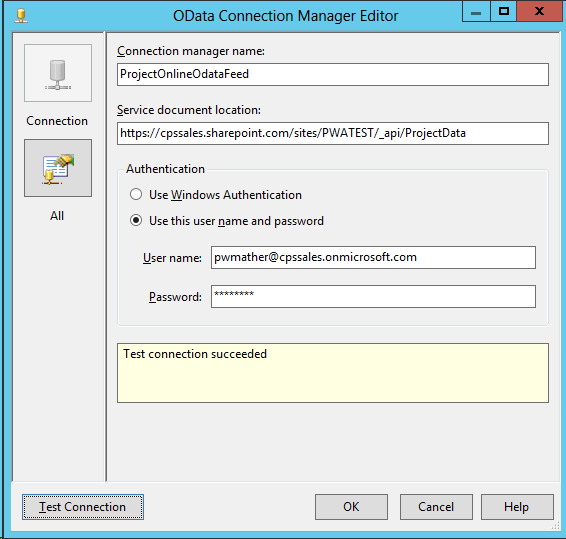 Well that isn’t strictly true but you need to extract the data out of Project Online into another data source such as SQL – SSIS can do this but so could a .NET console application using CSOM for example. 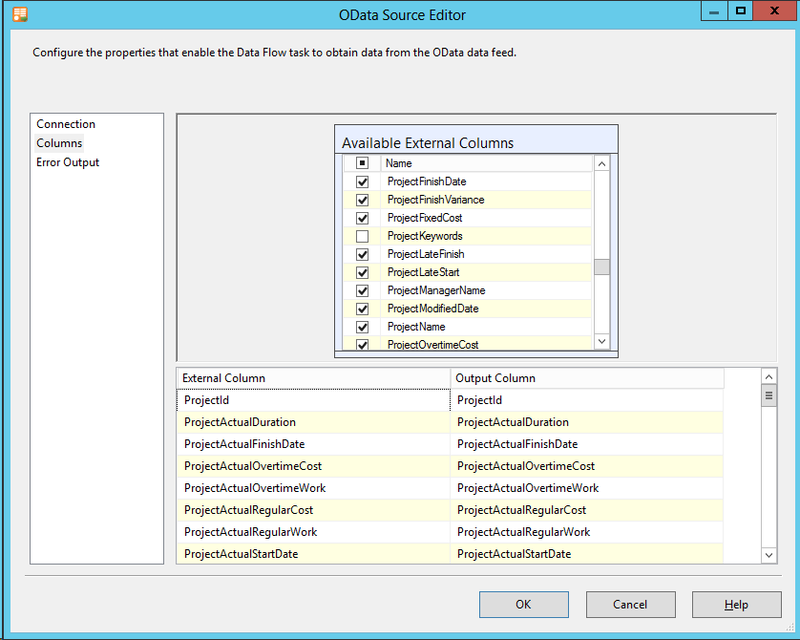 I then covered a bit around best practice when using the Odata API regarding filtering the data at source as much as possible to minimise the data being pulled down – this means using filters and selects to only pull the information you need. 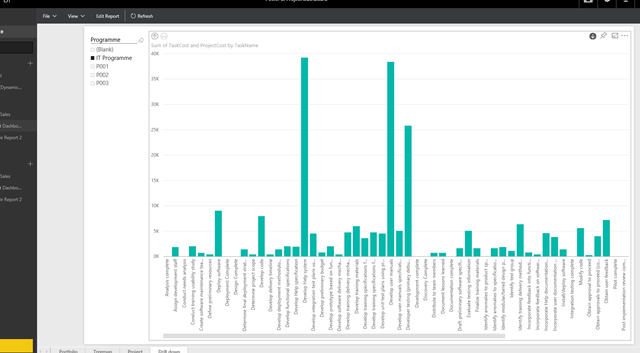 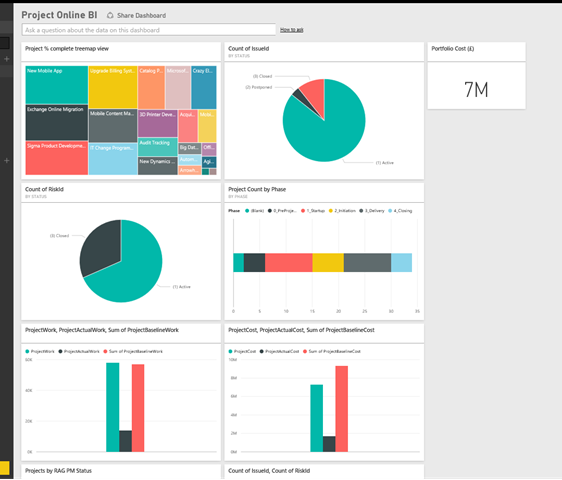 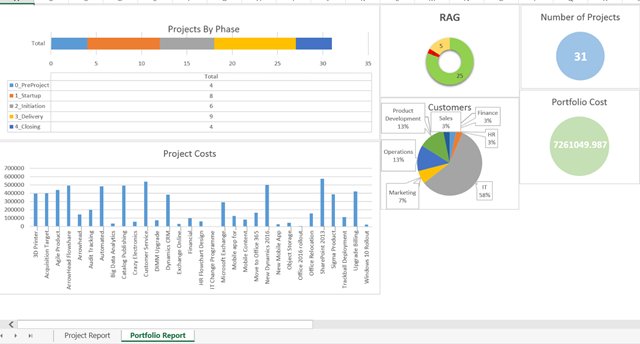 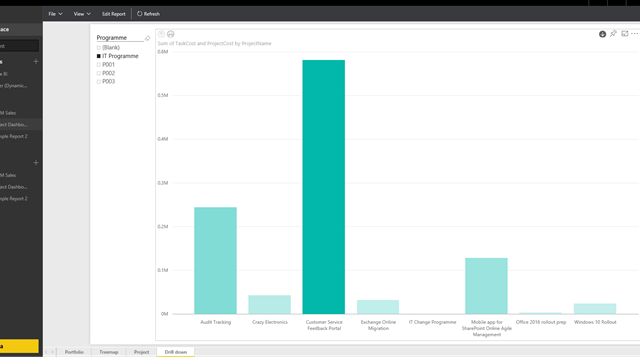 The final part I walked through creating a new Excel based report from a blank workbook and also create a new Power BI report from a blank Power BI Desktop file. 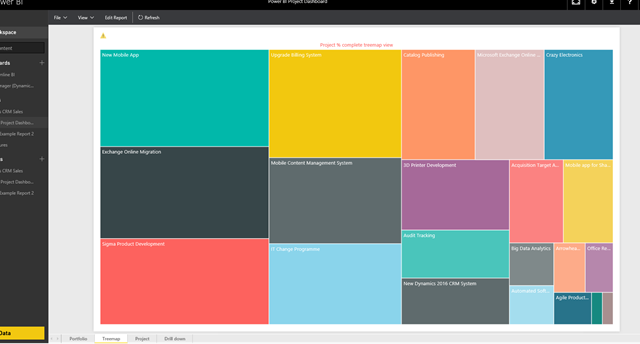 Take a look at the session for more details. 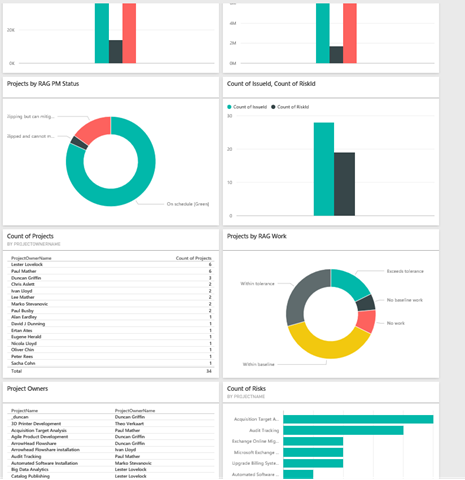 There are plenty of details out there, just have a quick search and you will find lots of helpful articles for each technology! 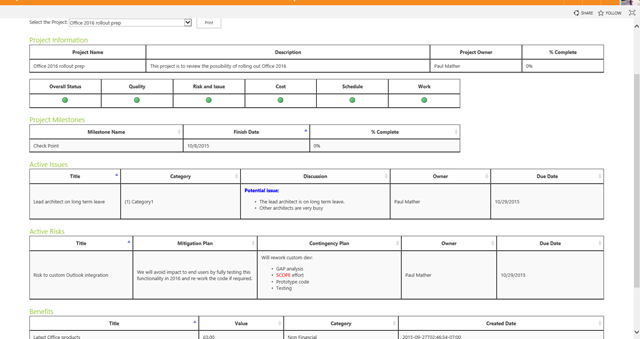 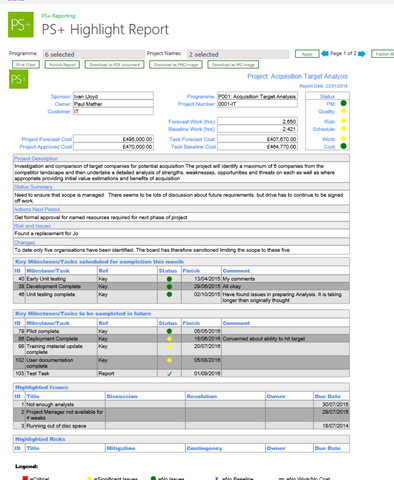 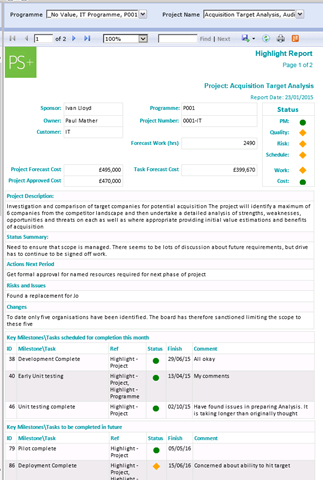 See some of the great reporting options for Project Online. 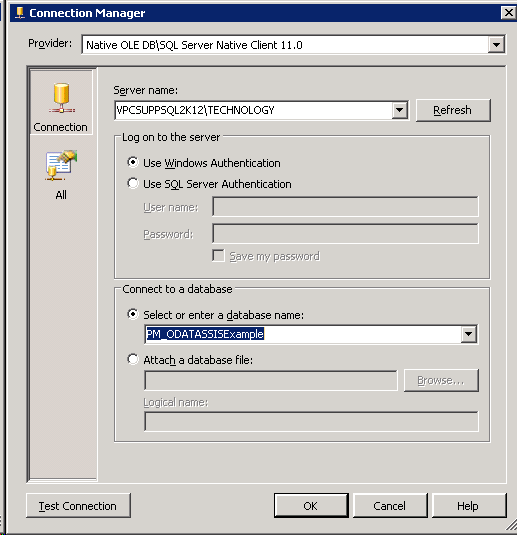 I didn’t test deploying the SharePoint client components to the SQL Server but I guess this should work. 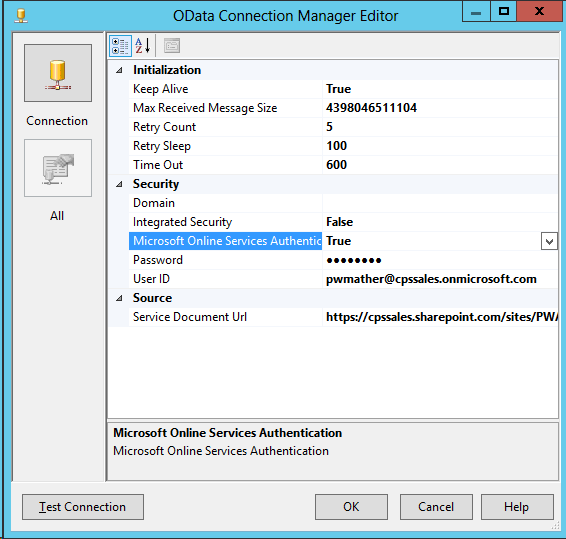 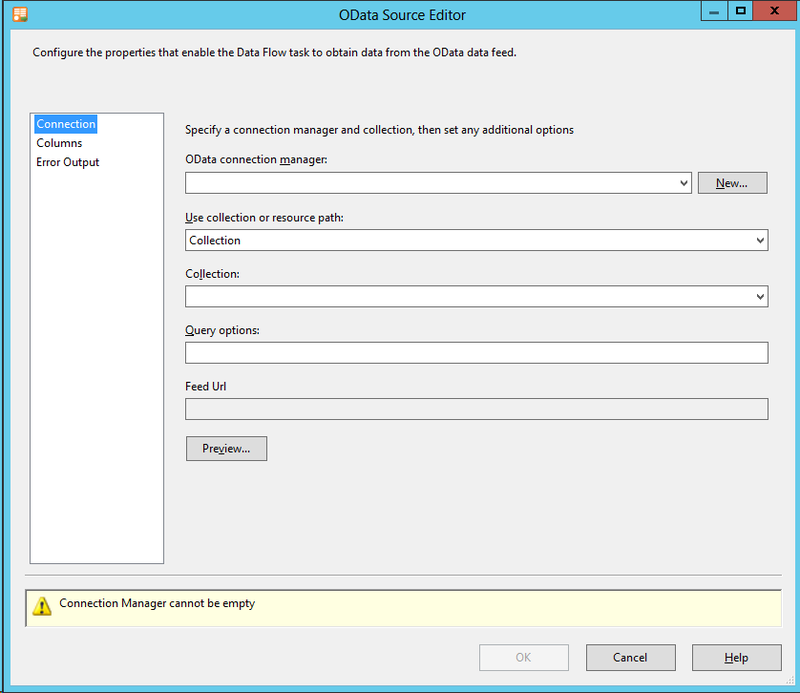 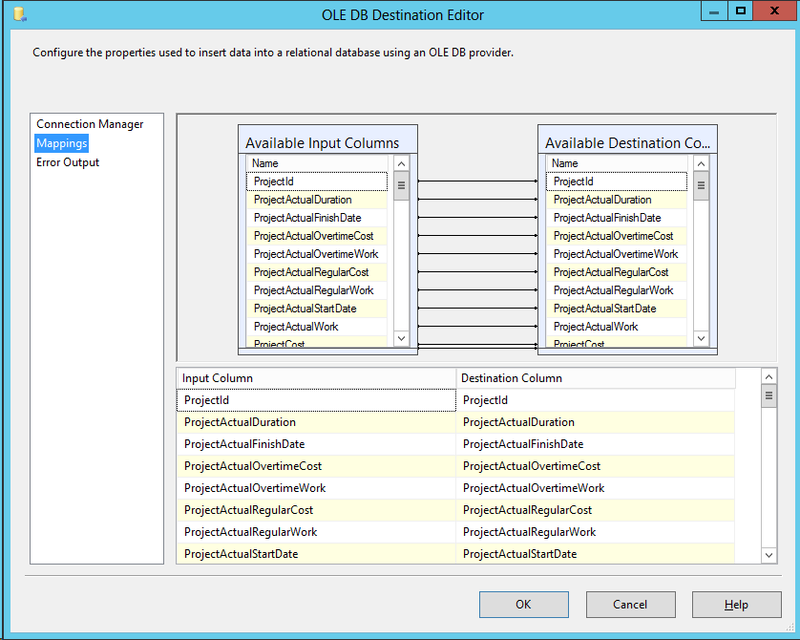 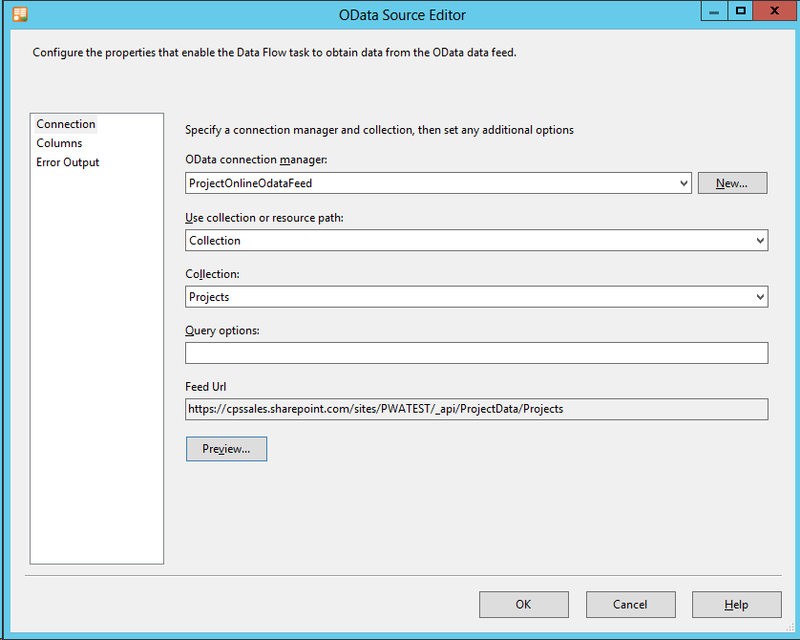 Specify an account that has access to the ODATA feed. 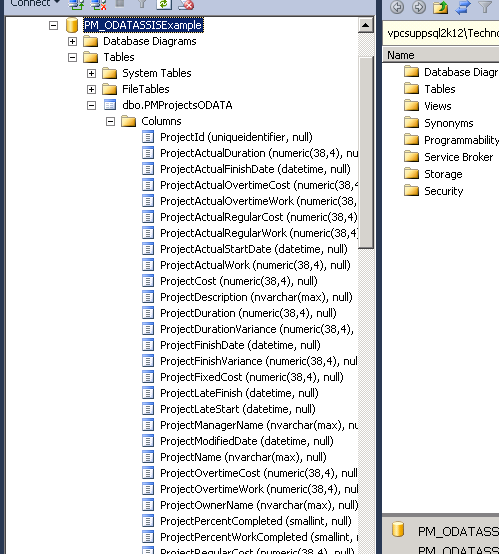 Notice the Service document location is just the base ProjectData ODATA URL. 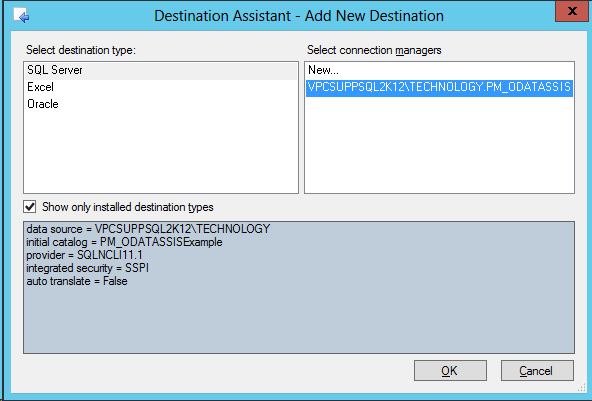 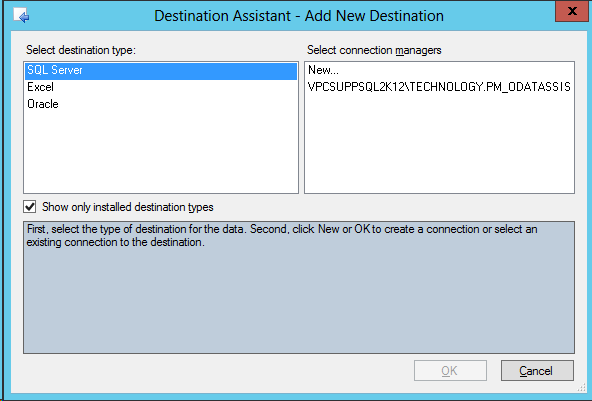 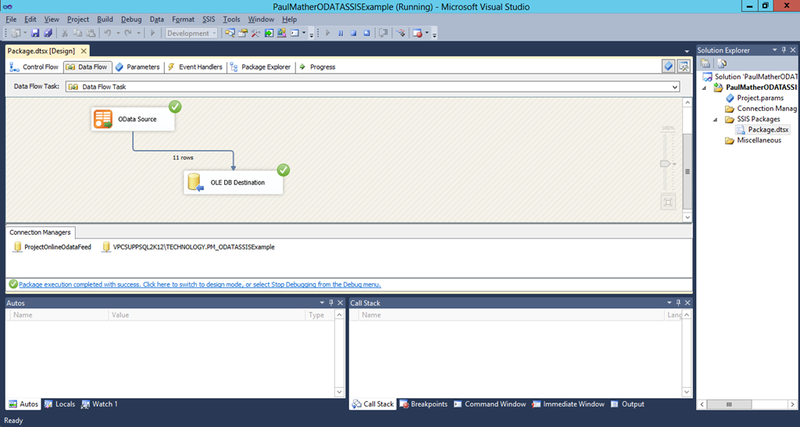 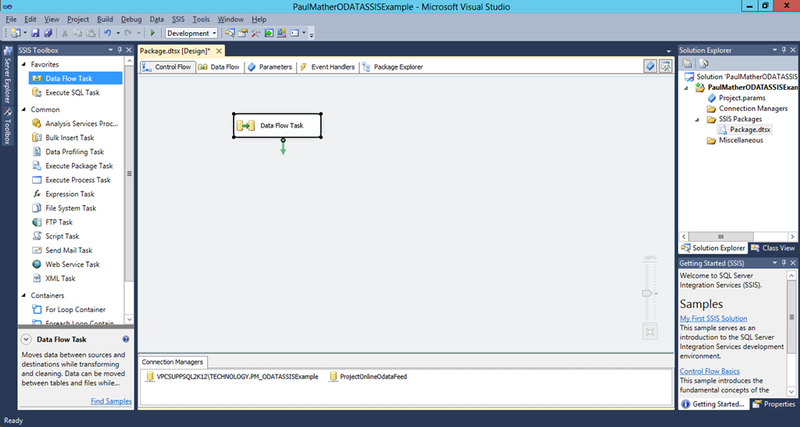 Test the connection to confirm it is successful then click ok.
Now the data is local you can use SQL Server Reporting Services to create reports, you can integrate this data into other LOB systems or create a custom OLAP cube etc. 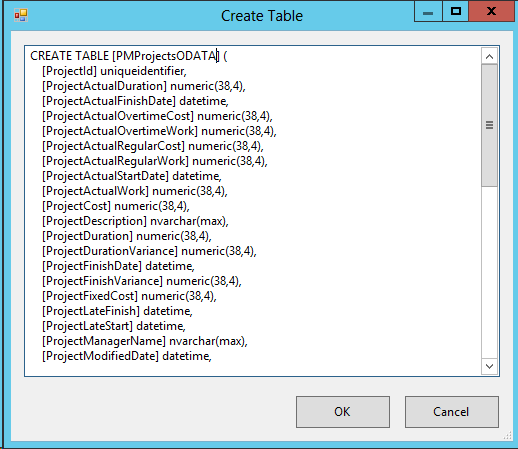 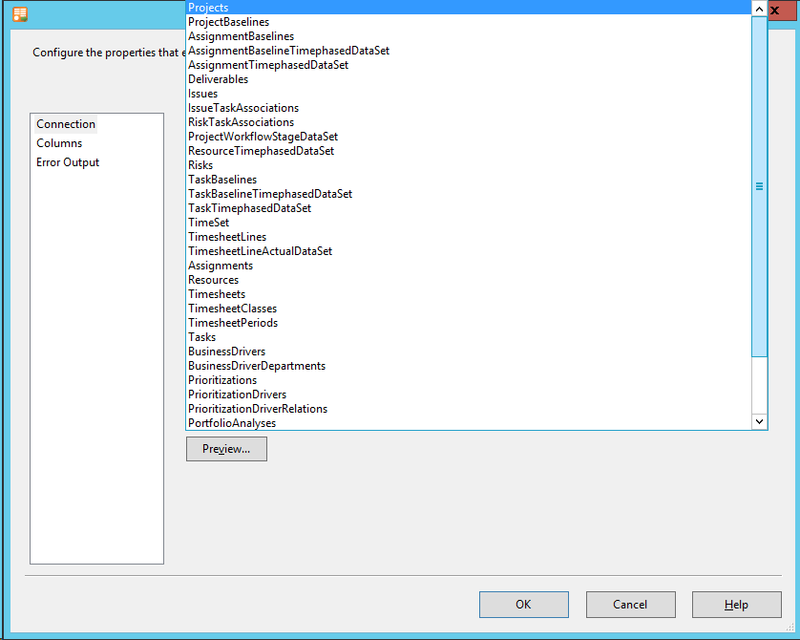 Once you are happy with the package you can set the package to run on a schedule to periodically copy the data down. 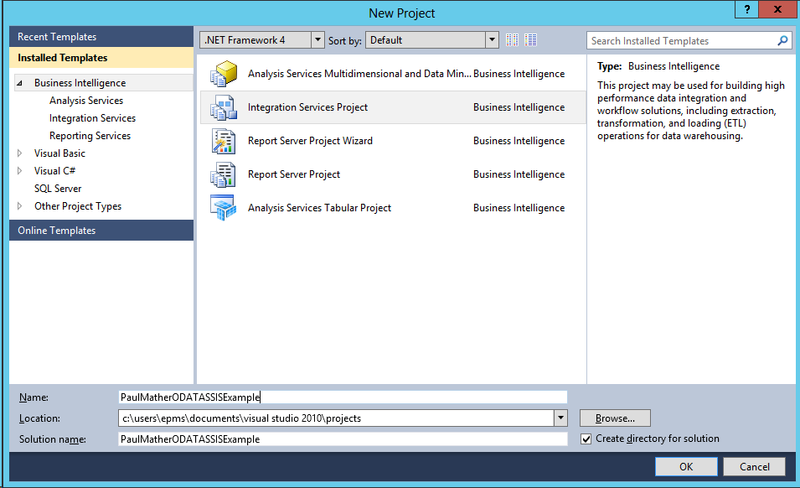 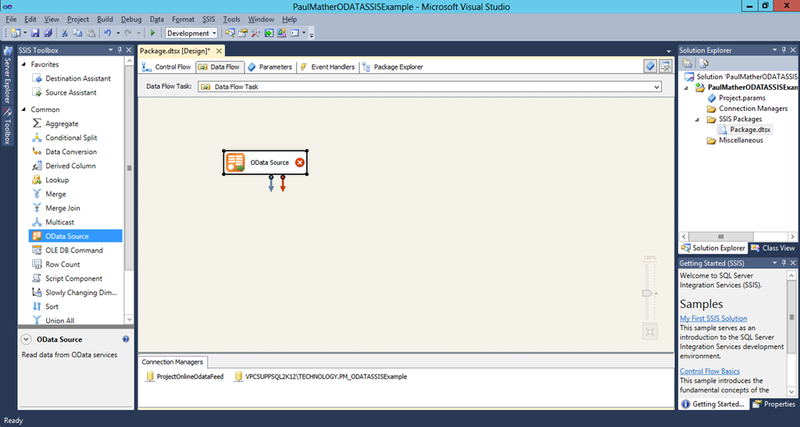 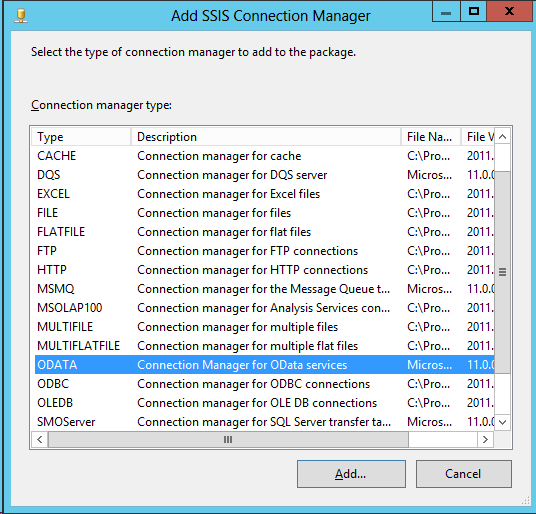 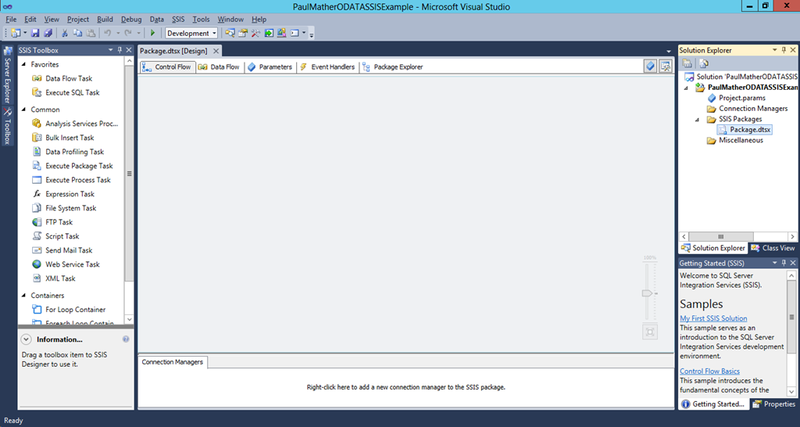 There are plenty of references on the web for creating SSIS packages so have a search.